The Metropolitan Railway’s link to Croxley Green inevitably brought with it a large increase in population. New housing estates sprung up and the resultant influx of new families put pressure on the existing schools. Consequently, a new school was built on land purchased from the Durrants Estate. 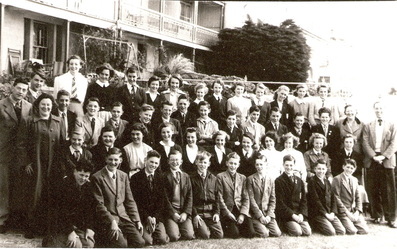 Known as Durrants School, the Senior Elementary School opened in the summer term of May 1939. 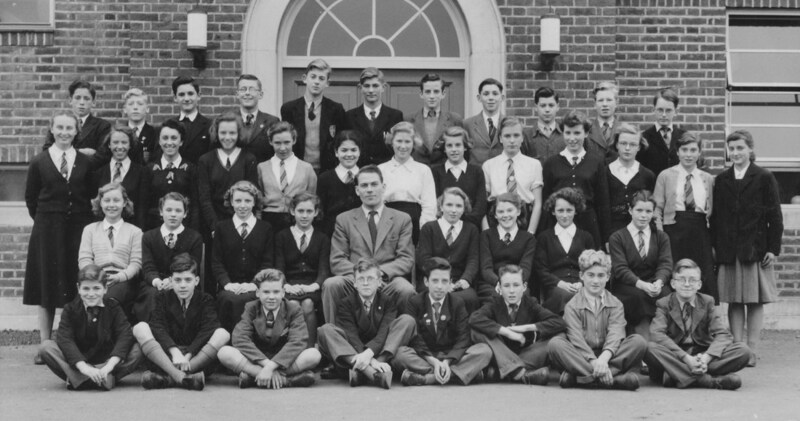 Pupils were transferred to Durrants from Yorke Road (girls) and Watford Road (boys). 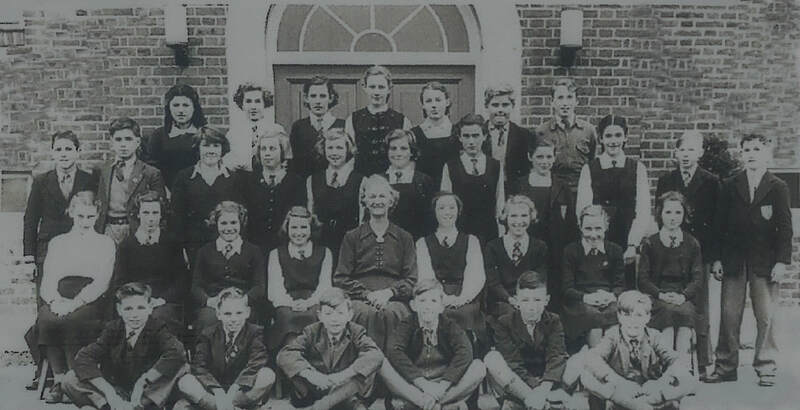 Until the new building was fully completed, the 263 new pupils had been accommodated temporarily for two terms in huts at Harvey Road School during 1938/39. 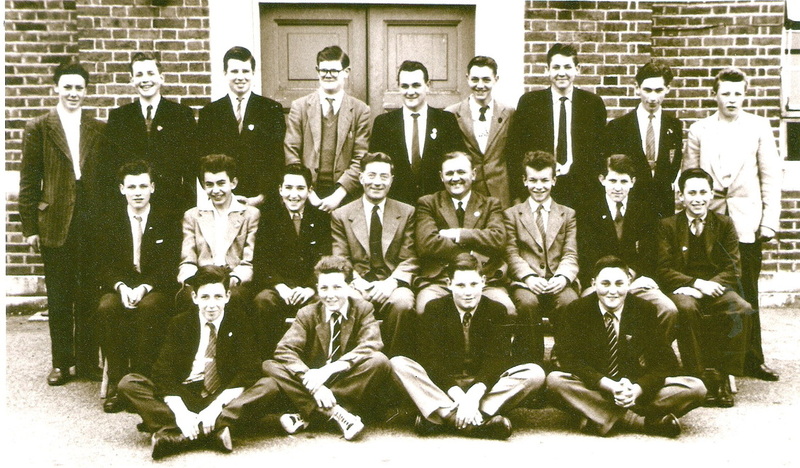 Mr. Jeffrey, previously Head of the 'Old Boys' school in the Watford Road, became the first Headmaster. 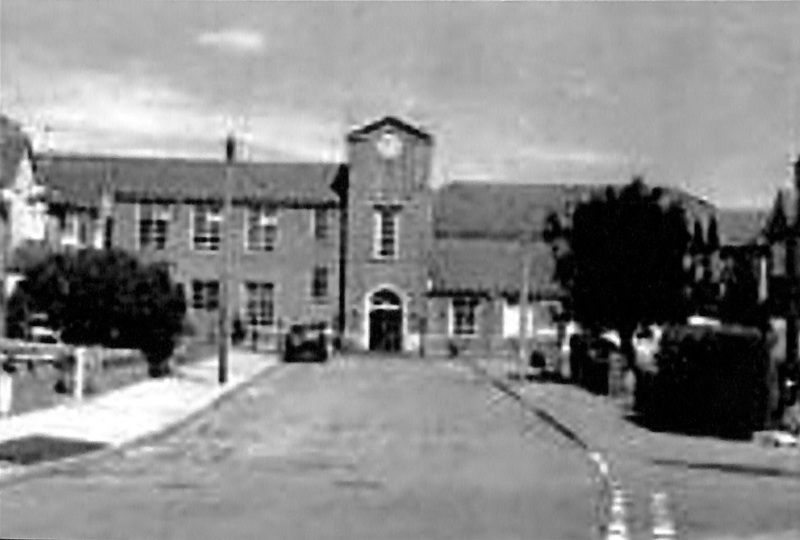 It was believed that Durrants with its up to date modern facilities was the last school to be built prior to the outbreak of the Second World War. The new school must have seemed the height of luxury and the last word in education. 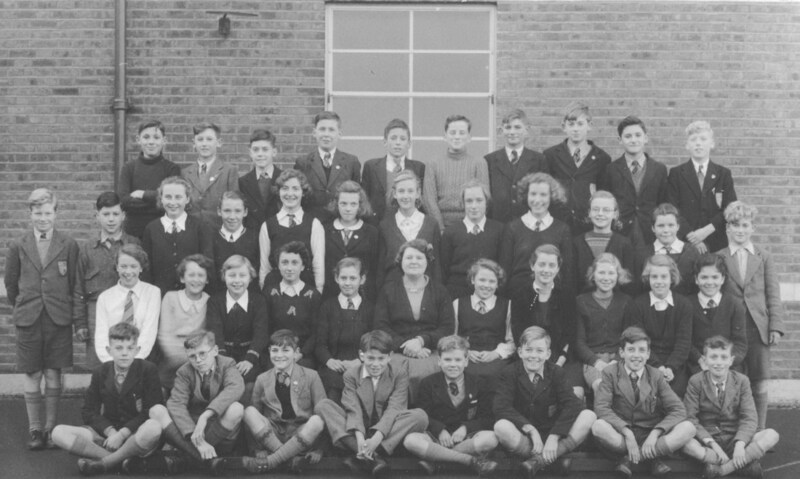 It provided an opportunity of senior school education for pupils who were not able to attend the Grammar schools in Watford. Throughout the school’s growth the range of classes that was on offer included French, Needlework and Dressmaking, Religious Education, History, Social Studies/ Current Affairs, Physical Education English, Gardening/Rural Science, Music, General Science/Biology/Physics, Domestic Science/ Housecraft, Photography, Woodwork/Metalwork, Pottery, Art/Crafts, Film Society, Technical Drawing, Commerce/ Shorthand/ Typing, Geography and Mathematics. There was concern at the outbreak of the war in September 1939 that German bombers would soon begin to attack the capital and this brought about the mass evacuation of school children from London. Pupils and teachers from five London Schools arrived in Croxley Green. Two of these included All Souls’, Langham Place and St Albans, Holborn. 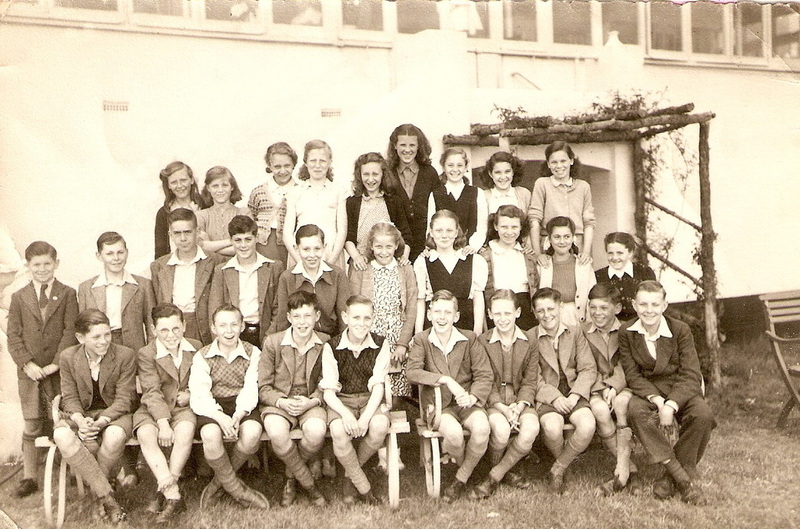 For a year the senior children and teachers were integrated into the school, sharing the day with the local children. The evacuees worked in the mornings from 9am to 12.30pm and the Durrants children attended the sessions in the afternoons from 1.30pm to 5pm. 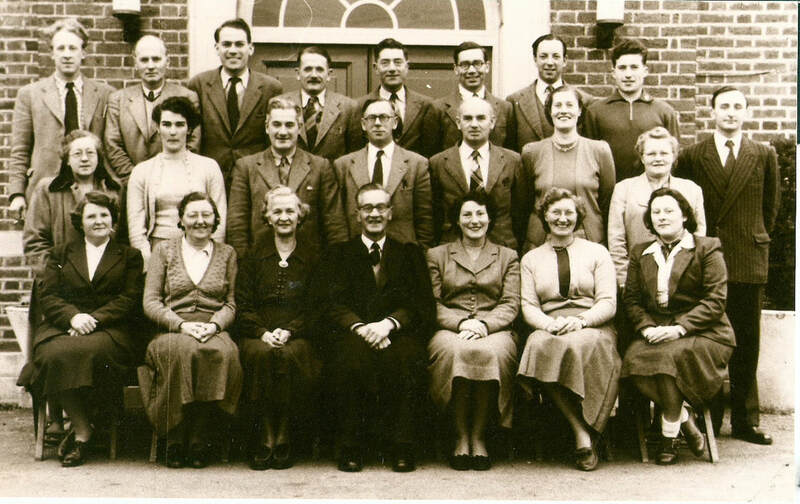 In the autumn of 1940 a re-organistion of the now seven evacuee schools meant that all of the senior pupils and some of the teachers were incorporated into Durrants. The local children and the ‘visitors’ amounted to a total of 435 pupils which presented considerable difficulties. The building had the required 'black out' equipment in place to avoid detection by the German bombers as a target during winter evenings when ‘lights’ were required. During this time there was an opportunity for adult classes to use the invaluable facilities as well as a newly formed Home Guard group, Army Cadet Force, a girls' Training Corps, youth squads and a youth club. During the night, Firewatchers and Air Raid Wardens were on observation duty here as part of the Local Defence. 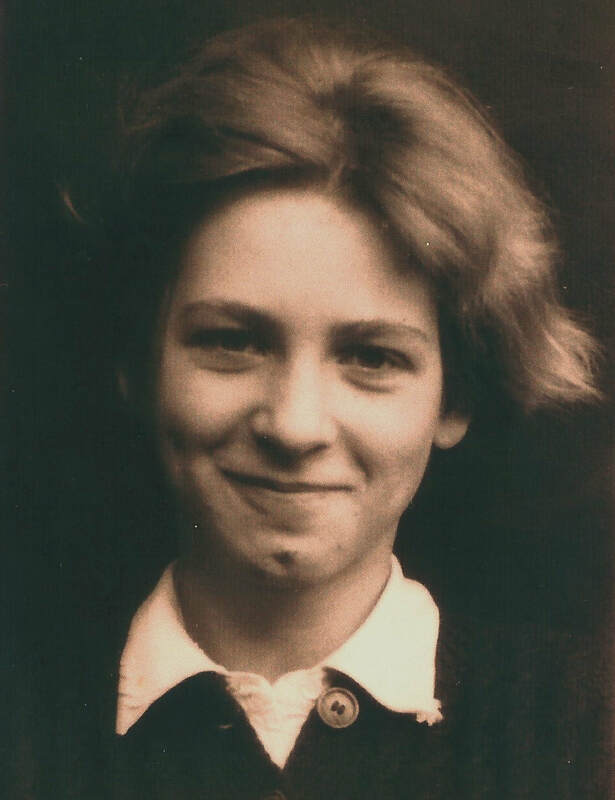 In 1945 when peace was declared the evacuees returned to their London schools. It became apparent that the local population had continued to increase. This, combined with the rise in the school leaving age to 15 years, plus changes that extended the school’s catchment area to include Sarratt and Chipperfield, meant that accommodation was insufficient. Consequently, in 1947 a school canteen and more classrooms were provided. This provision coincided with an inspection by twelve Government Inspectors, the first in the country since 1939. 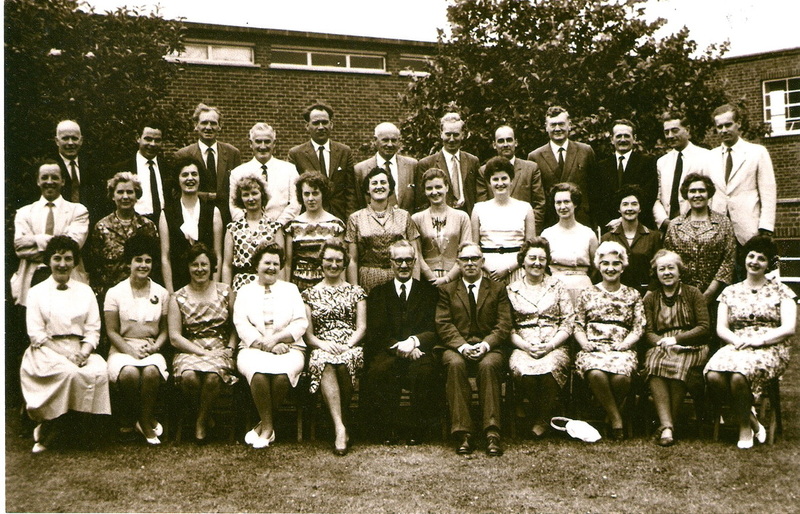 In 1948 a Parent Teacher Association (PTA) was formed and played a constructive part in the school’s future. The school was designated as a Secondary Modern School. A new education programme changed the requirement of basic education from the three ‘A’s (age, ability, aptitude) to the three 'R's (reading, writing, arithmetic) by a new Act of Parliament introduced in 1944. Following intensive discussion involving the Heads of local schools, and the Divisional Education Officer for Hertfordshire, it was agreed that pupils be awarded the School Leaving Certificate. This was to be known as the Southwest Herts Certificate of Education and locally referred to as The Area Certificate. It was trialed in 1951and 1952 and was the first of its kind in the country. Ten subjects were available to pass which gave local employers a standard against which to judge school leavers seeking employment. Upon attaining the school leaving age of 15 years, many pupils now stayed on at Durrants Vth and V1th years to take advantage of the further education which was offered. 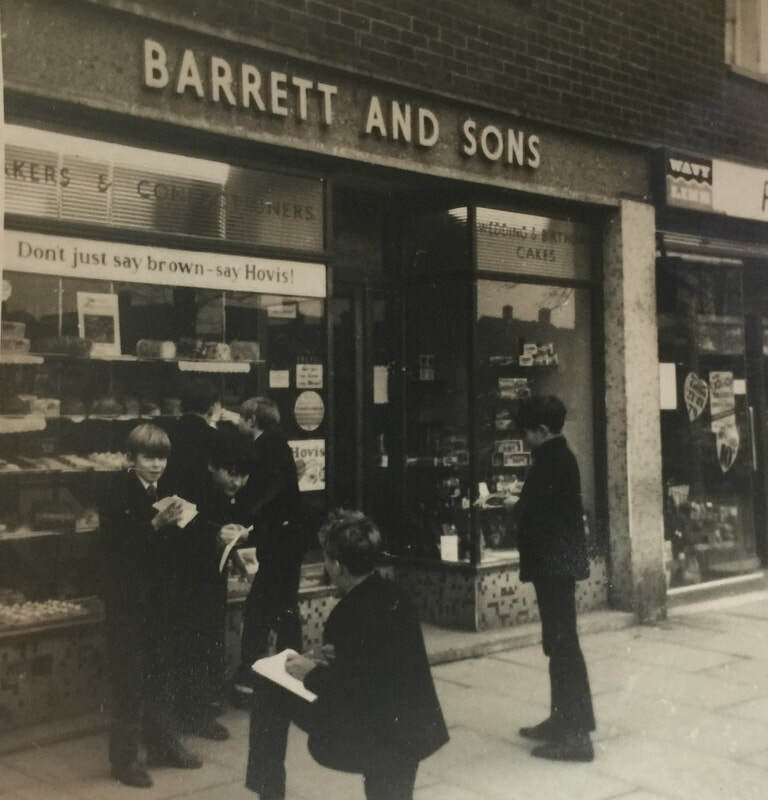 Subjects approved nationally such as Commerce covered Typing and Pitman Shorthand, so that good results often led to successful careers in banking, insurance and solicitors’ offices. Apprenticeships in engineering as well as further training for specialist nursing, occupational therapy and physiotherapy were available. Opportunities for a future in the Arts, music and literature, could also be considered. Accompanied school visits made to countries abroad gave students the opportunity to broaden their appreciation of foreign cultures. The large school sports ground enabled inter- house challenges to take place. The importance of competitive sports was emphasized as indicated by the annual competition against William Penn School in Mill End, with each school hosting the event alternately. It is apparent that all these various arrangements gave pupils opportunities hitherto enjoyed mainly by the Grammar schools. In 1984, after several additions to the school had been made, a hint from County Hall of the school’s future indicated that a decision had been made to amalgamate the school with William Penn School, Mill End some three miles away. Despite over 6,000 signatures collected in protest, it was decided that the latter school should be run down. 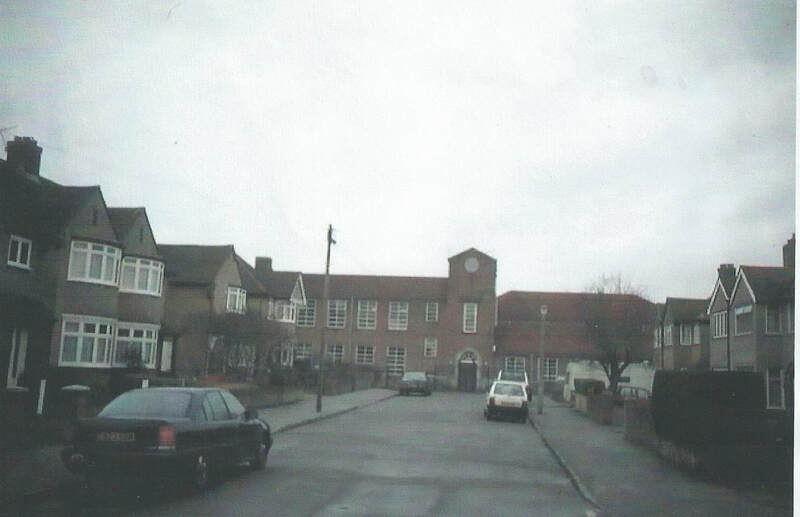 William Penn closed in 1989 but there was then a proposal by the County Council that Durrants could merge with Rickmansworth School on Scots Hill. 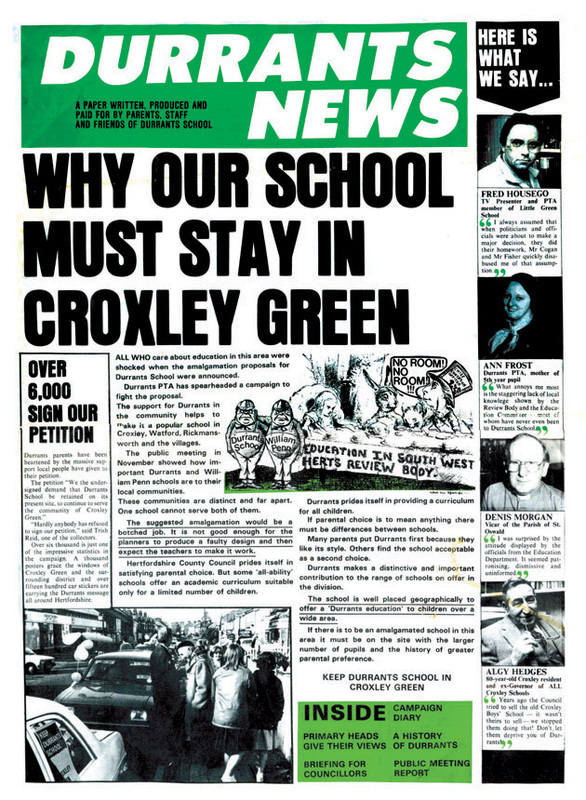 This merger was rejected by Rickmansworth School and two years later on 26th July 1991 the closure of Durrants took place. 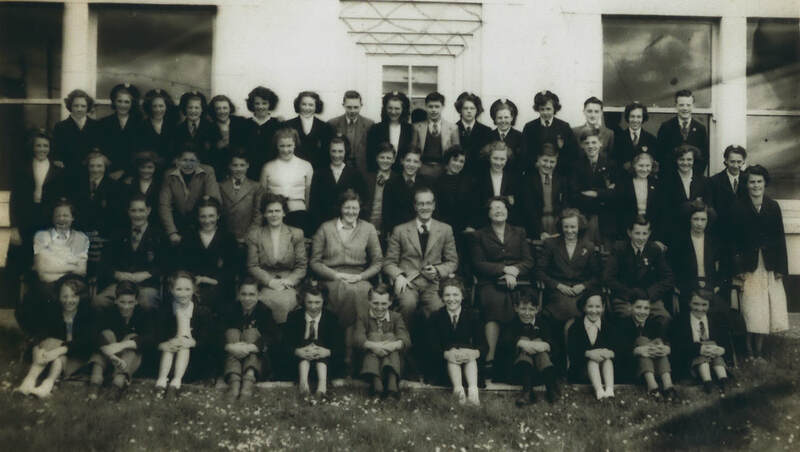 © 1951 - Teacher Mrs Jeffrey (wife of Headmaster) Mary Jefferies (no connection) is 2nd row down and 4th from the right - Can you help us name the other pupils? 13. / 14. / 15. 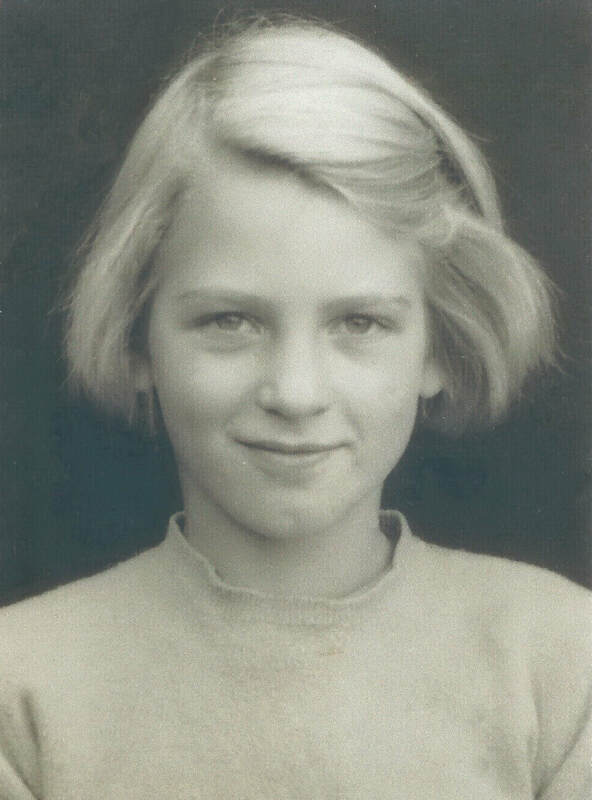 Ann Jennings / 16. / 17. / 18. / 19. / 20. / 21. / 22. / 23. Miss Slieght (teacher) / 24. / 25. / 26. / 27. / 28. Terry Rodger / 29. / 30. / 31. / 32. / 33. 1 / 2 / 3 / 4 Jeffrey Phillips/ 5 Clive Trowbridge / 6 Colin Wilson / 7 Richard ? © 1953 Teacher Mr. Beer (Art) The following pupils feature are Tony Black- Ken Brown- Sandra Nicholls- Gill Blake- Maureen Ulph- Pat Williams- Carol Guiver- Jennifer Hart- Barbara Pooley- Brian Jennings- Peter Barnes- Roger Wells- Richard Castle- Brian Owen- Ron Armatage- Cherry Skinley-Mary Jefferies (2nd row 4th right ) Can you help us identify the other pupils? 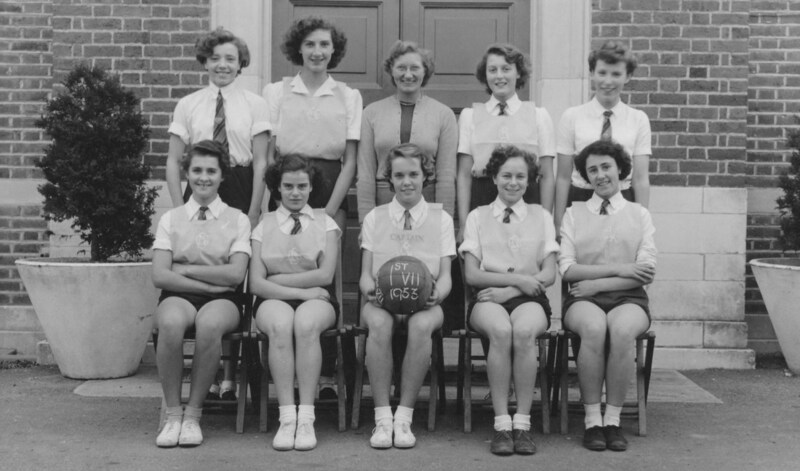 © 1953 The girls' sports athletic team. 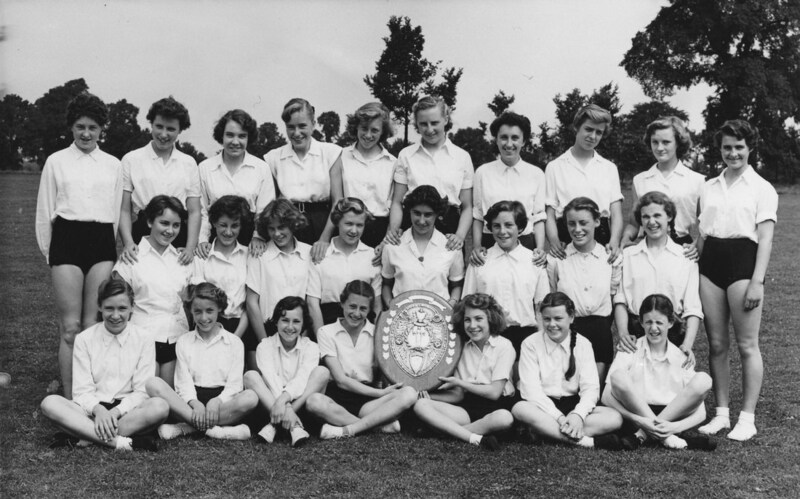 Girls features are Joan Barnes – Mary Jefferies (back row 2nd left) – Jennifer Hart – Maureen Ulph- Pat Williamson- Jean Kingston- Gill Blake – Lyn Rickwood (centre holding the shield) Can you help to identify the other pupils? 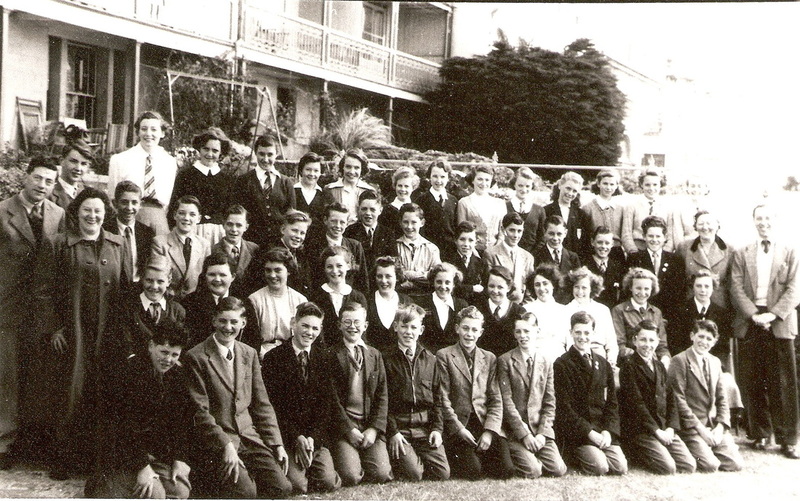 © 1953 Seagrave Hotel Isle of Wight - Teachers included during this school trip- Percy Graver – Madame Meyer – Mr. White – Miss Smith Some of the pupils in the photograph include Ann Reeves – Lyn Rickwood – Joan Barnes- Alan Humphries – John Roffe- Fred Noble- Nigel Robinson- Ted Washington- Brian Thomas- Pat Williamson- Janet Wilkinson- Pauline George- Peter Belton- John Humphries- Michael Curtis Are you amongst these or/and can you name anyone else? 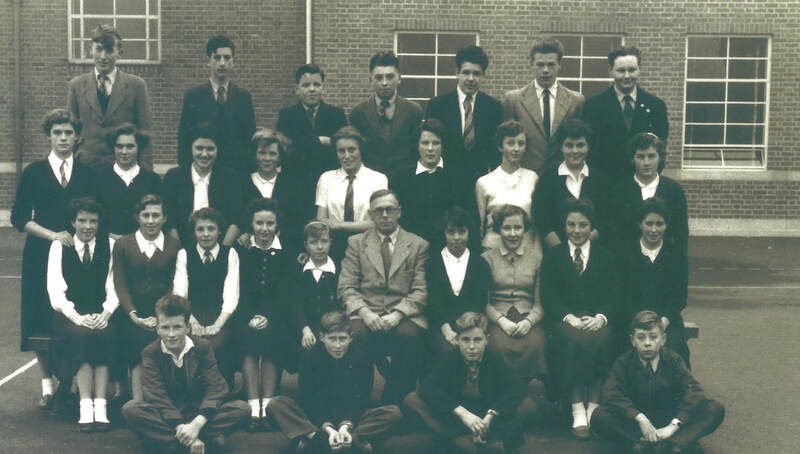 © School trip - Isle of Wight (date unknown) Front row 8th from left John Pullen and Janet Jeffries daughter of the Headmaster Mr Jeffries seated centre with Mrs Jeffries Can you help with the date....please contact the website? 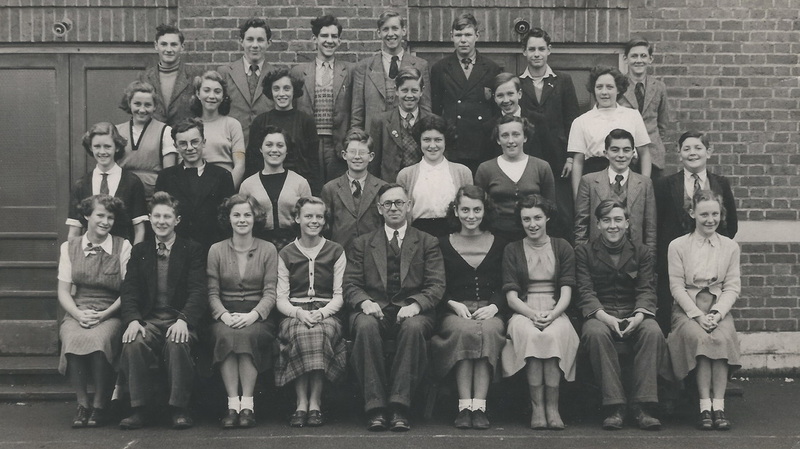 Percy Graver joined the Durrants School teaching staff as the Woodwork teacher sometime after serving in the RAF during WW2. He was very keen on sailing and as Croxley Green was not far from the lakes that made up the Aquadrome in Rickmansworth he formed a sailing club. His first task with the boys was to make and build a suitable boat in . 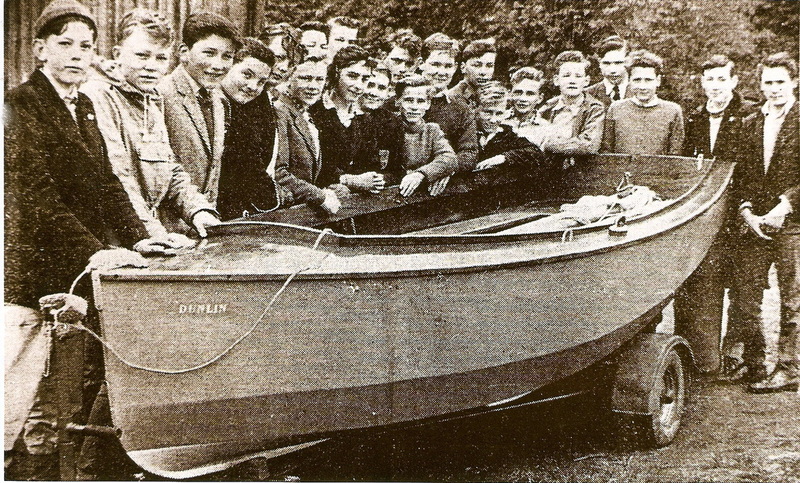 The first boat was a 13ft dingy and took three months to build with up to 100 boys contributing learning various skills on the way. Plans were drawn up and an initial frame was made, the boat progressing during woodwork classes. Any metal parts required were designed and made during metalwork classes. Only the sails were made outside of the school. 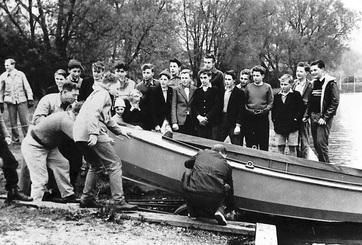 A colleague Cecil Bradbury who taught History at the school had been a Cox for the Bristol Eight Sailing Club and asked Percy to teach him to sail and together they made the sailing club a huge success. Four boats were made in total all named after birds. The first was Dunlin, the second Ruff, the third Reeve –the female of the Ruff, the fourth and last Phoenix. Percy, attributed his love of boats from his great grandfather who came from Kings Lynn who owned a trading wherry/wherrie boat that he would sailed to and from the continent. When Percy retired it is thought the sailing club ended. 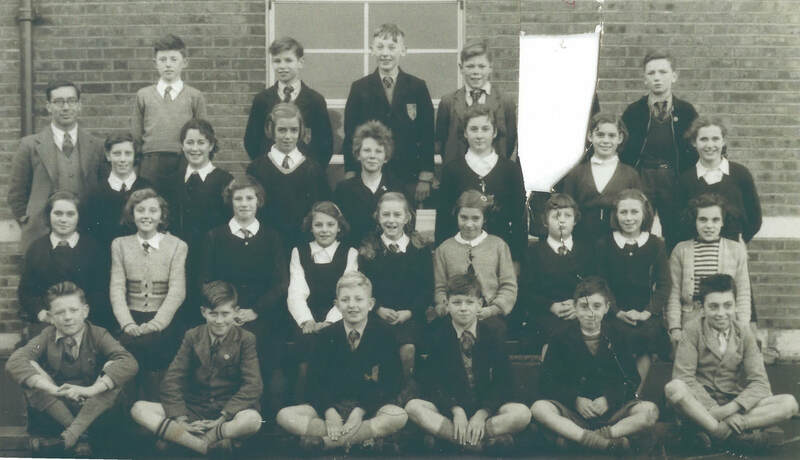 I came to Durrants School in 1971 as an English teacher with six years' experience. Within a few years, I had become Head of Department and was thoroughly rooted in the life of a lively and interesting school. I loved folk singing so when I was told of some possible old songs, I started my research, armed with tape recorder. (Best to use intro to the Croxley Songbook for details). 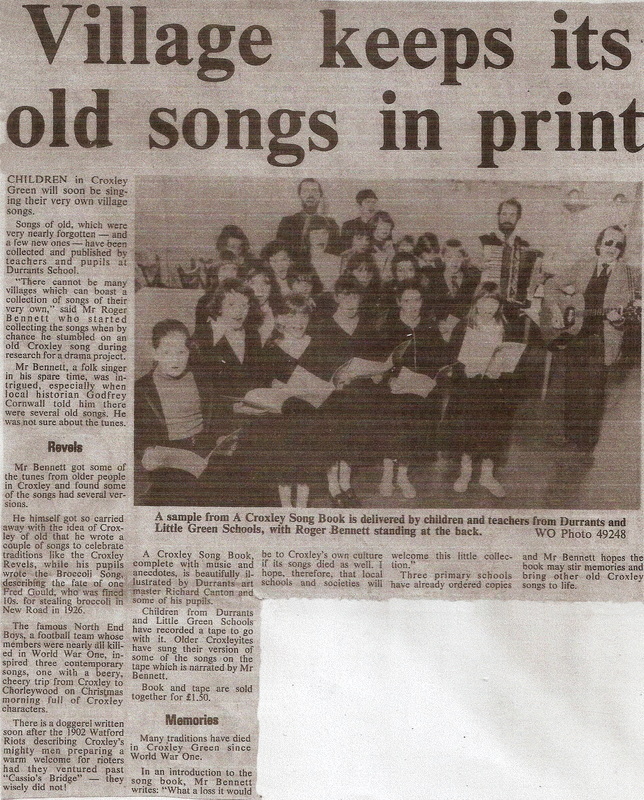 I introduced the songs to pupils of Little Green School, and published the Croxley Song Book, but I don't know if any interest was shown. Perhaps this article will revive the songs. 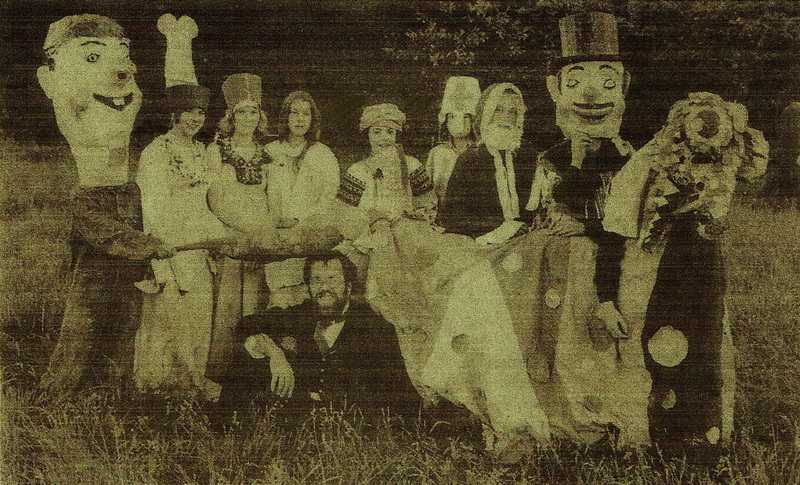 I loved teaching Drama as part of the English curriculum, and produced several musical dramas based on Greek myths. One particular song, "Don't Look Back" I wrote for "Orpheus." 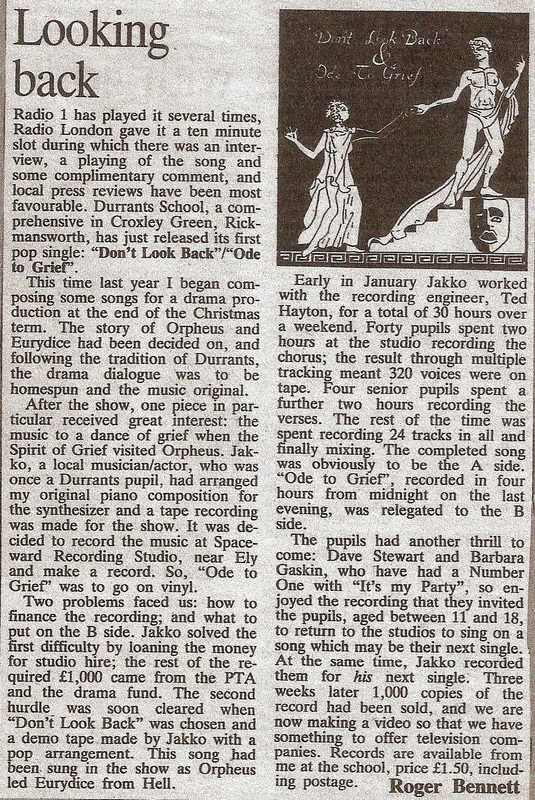 A former pupil, Jacko Jakszyk, now lead singer with King Crimson, offered to record it, hence the material here on offer. Recording was a marvellous experience for the 30 children involved, as were various interviews with Radio stations. From certain recent posts on Facebook, it is clear the record is remembered or still owned! 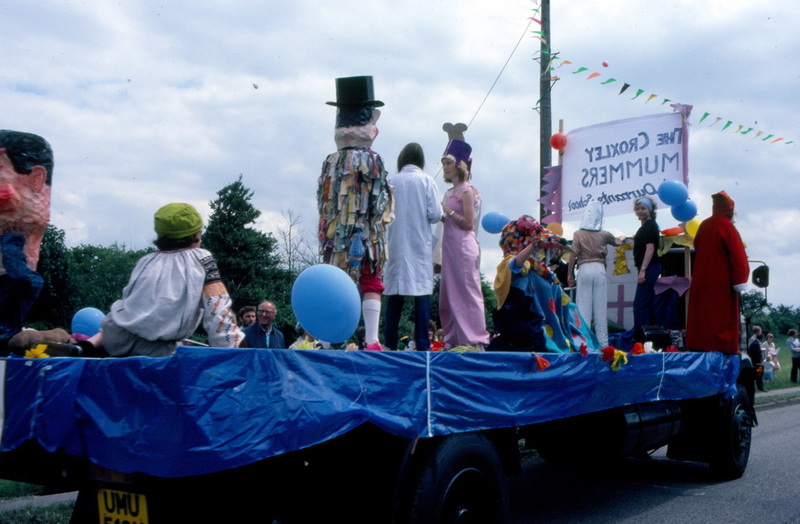 The Croxley Mummers Play was revived when I came across the script. Ours was the first revival since the early days as far as I know. Great fun was had by all, but looking back, I wish I had made it more colourful. 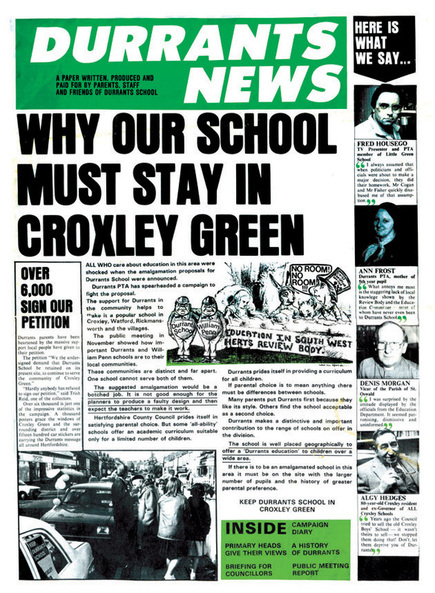 Durrants School was for me the hub of life in Croxley; I shall treasure my years there which ended in 1983. Soon afterwards, our family left St. Albans and moved to my home count(r)y, Cornwall. Oggy! Oggy! Oggy! Oll an gwella, Roger Bennett. 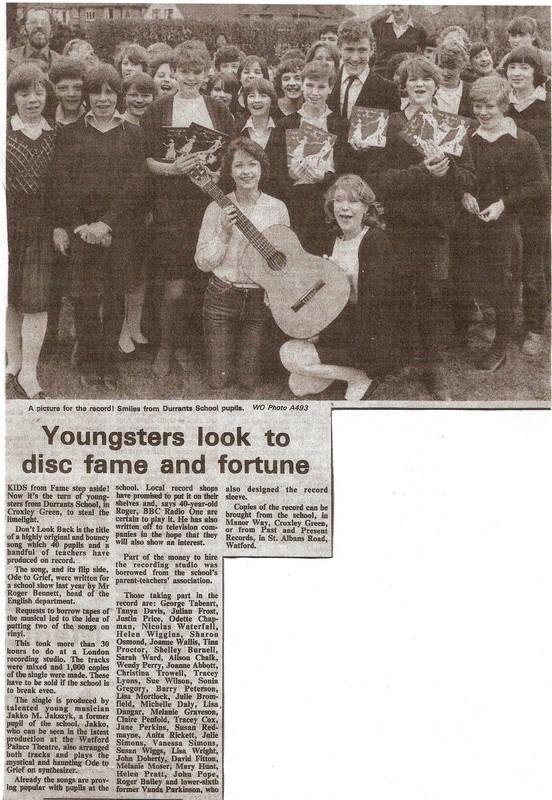 © Roger Bennett with the children signing the "old Croxley songs"
© Durrants pupils make a recording Do you have a copy ! © Durrants School taken in Manor Way. 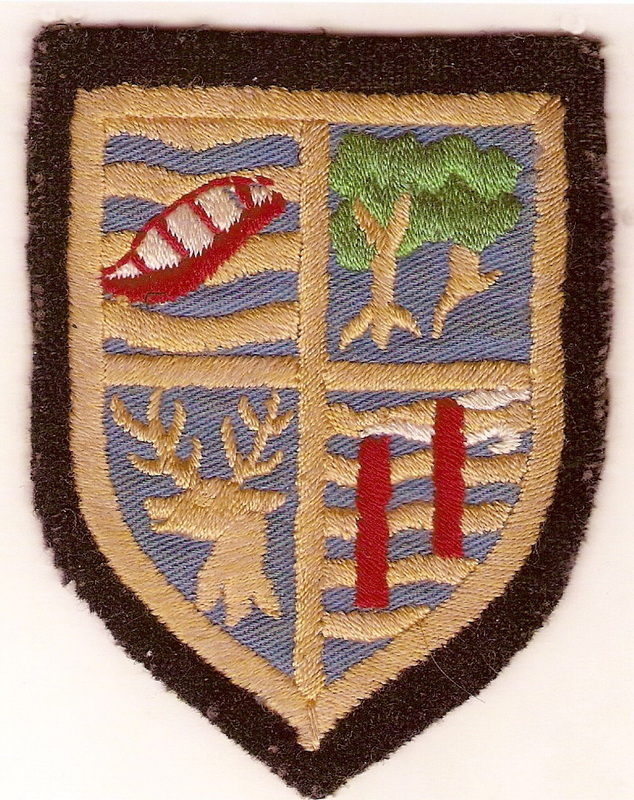 Opened in 1939 originally as a Senior Elementary School along with others in the South West Herts area it was renamed a County Secondary School. Changes took place again in the 1960's and the school was to become an all ability school until its closure in July 1991.